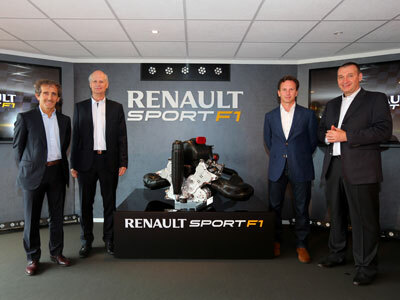 Renault introduces its innovative new power unit, Energy F1-2014, at the Paris Air Show in Le Bourget. 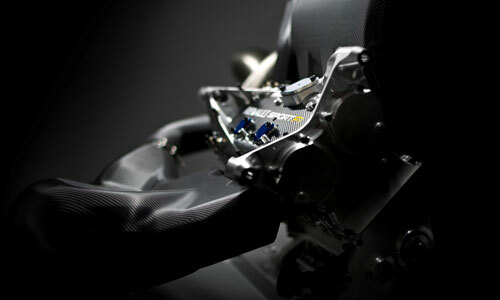 This new generation power unit will make its debut in the FIA Formula One world Championship from 2014. The race-intent power unit revealed for the first time demonstrates a radical leap in Formula One powertrain technology. This new generation of Power Units will combine a 1.6 litre V6 turbocharged engine with energy recovery systems that will dramatically increase efficiency by harvesting energy dissipated as heat in the exhaust or brakes. 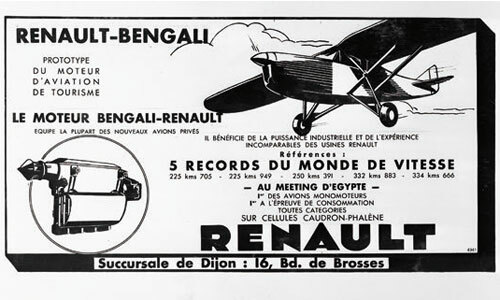 Renault is not present at the Le Bourget air show by accident. aeronautics and the world of Formula 1 motor racing. 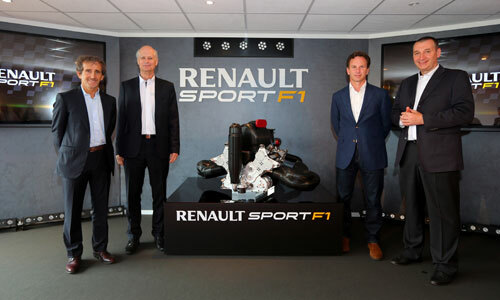 The engineers at Renault Sport F1 look to the aeronautics industry for inspiration and a source of advanced know-how. The maximum power of the new Power Unit will exceed the output of current V8 F1 engines however fuel efficiency will be radically improved. With only 100kg permitted for the race, the new units will use 35% less fuel than their predecessors. What about the sound of the new power unit? "Fundamentally the engine noise will still be loud. It will wake you from sleep, and circuit neighbours will still complain. The engine noise is just a turbocharged noise rather than a normally aspirated noise: you can just hear the turbo when the driver lifts off the throttle and the engine speed drops. am sure some people will be nostalgic for the sound of engines from previous eras, including the preceding V8, but the sound of the new generation Power Units is just different. It’s like asking whether you like Motorhead or AC/DC. Ultimately it is a matter of personal taste. Both in concert are still pretty loud." What can be changed between teams? The external parameters of the Power Unit can be changed and the choice will remain with the team. The exhausts and installation can be changed, so the hoses, hydraulics, air intakes and so on can be adapted to allow optimal integration.